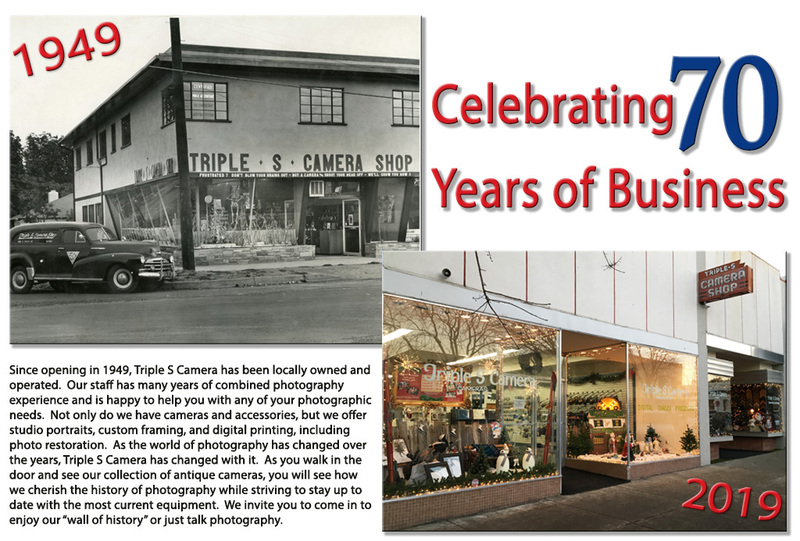 Since opening in 1949, Triple S Camera In Ukiah has been locally owned and operated. Our staff has many years of combined photography experience and is happy to help you with any of your photographic needs. Not only do we have cameras and accessories, but we offer studio portraits, custom framing, and photo processing, including photo restoration.